The department wishes to inform the public that there will be some disruption for vessels at the Paralimni fishing shelter as works begin. Specifically, from Friday October 19, 2018 until Saturday afternoon, October 20, 2018, access for vessels will be forbidden as drilling works are undertaken at the entrance of the fishing shelter. 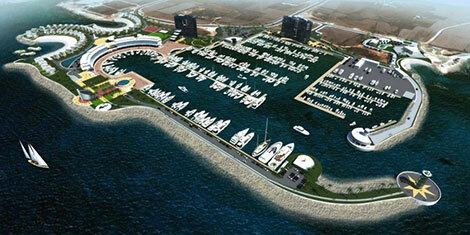 The drilling will take place in the framework of the construction of the Paralimni marina. The Department of Fisheries and Marine Research regrets any inconvenience caused by the restriction which will be in place for safety reasons. Contracts for the much delayed Paralimni Marina were signed in January 2018 by the Energy Minister Giorgos Lakkotrypis, investor PMV Maritime Holdings and the Paralimni Municipality. J&P – isn’t that the company that just went bankrupt? Ed: J&P Overseas Limited has gone into administration – it doesn’t affect the company in Cyprus, which is independent from the overseas company.